Ventilator-induced lung injury (VILI) is one of the most serious complications of mechanical ventilation (MV) and can increase the mortality of patients with acute respiratory distress syndrome (ARDS). 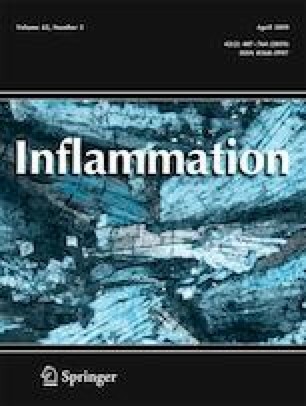 This work aimed to test the hypothesis that the anti-inflammatory properties of human interleukin-10 (hIL-10) can reduce VILI. Thirty-six healthy male Sprague-Dawley rats were randomly assigned into three groups (n = 12) as follows: a control group, a VILI group, and a hIL-10 group. Lung function was evaluated by oxygenation index and pulmonary edema, and morphological changes associated with lung injury were assessed by HE staining and quantitative histological lung injury score. Malondialdehyde (MDA) and Superoxide dismutase (SOD) were measured, and the levels of various inflammatory cytokines were assessed in BALF and plasma. The oxygenation index in the VILI group decreased significantly relative to the control group and improved substantially in the hIL-10 group (P < 0.01). Compared to the control group, MDA production was stimulated (P < 0.01), and SOD activity rapidly declined (P < 0.01) in the VILI group. After hIL-10, MDA content was lower than that seen in the VILI group (P < 0.01), and SOD activity was enhanced (P < 0.01). The VILI group had the highest cytokine levels, compared to either the hIL-10 group or the control group (P < 0.05). High tidal volume MV can induce VILI. hIL-10 may regulate the inflammatory response in the lung tissue, improve lung tissue oxygenation, and inhibit oxidative stress, therefore reducing VILI in rats. These experiments reveal a potential new treatment option for VILI. This work was supported by the Science and Technology Project of Education Department in Fujian Province (Project No. JK2014017), medical innovation program of Fujian Provincial Health Bureau (2016-CX-43).